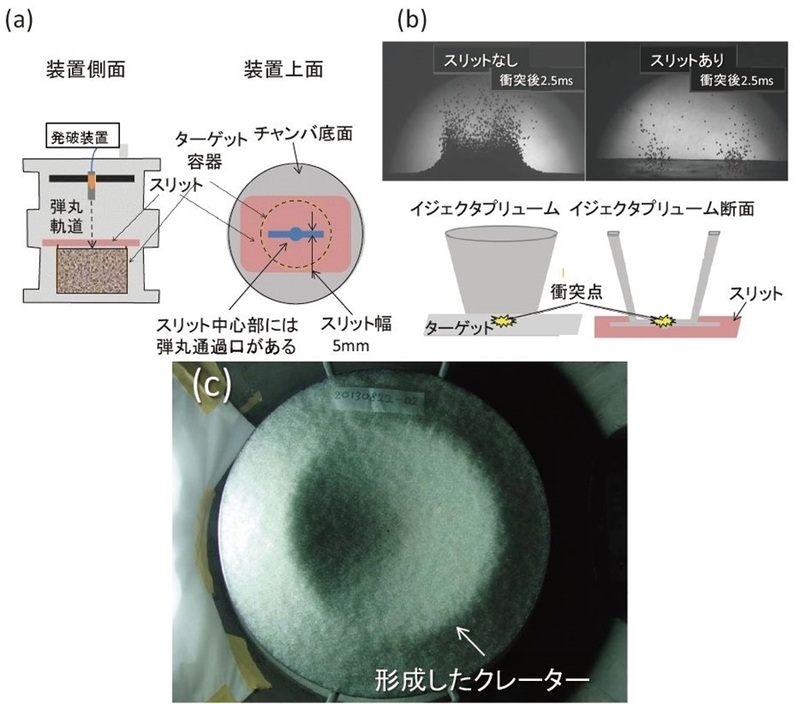 Ebihara, M. et al., 2011, Science 333, 1119. 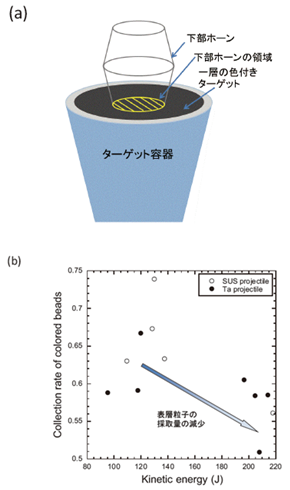 Tsuchiyama, A. et al., 2011, Science 333, 1125. 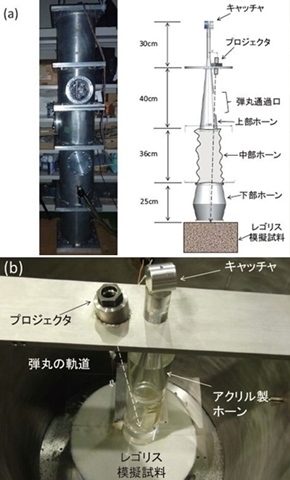 Nagao, K. et al., 2011, Science 333, 1128. Tsuda, Y. et al., 2013, Acta Astronautica 91, 356. 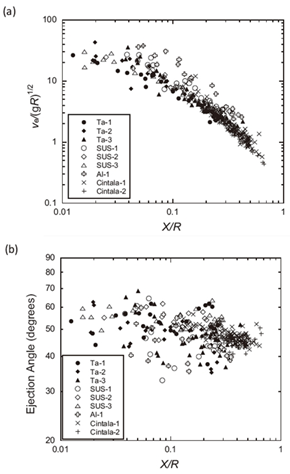 Tachibana, S. et al., 2014, Geochemical Journal 48, 571. Yano, H. et al., 2003, Proc. Asteroids, Comets, Meteors 2002 ESA-SP500, 103. Yano, H. et al., 2006, Science 312, 1350. Binzel, R. P. et al., 2001, Icarus 151, 139. Okamoto, C. et al., 2013, Proc. Lunar Planet. Sci. Conf. 44th, #2981. Cintala, M. J., et al., 1999, Meteoritics & Planetary Science 34, 605. 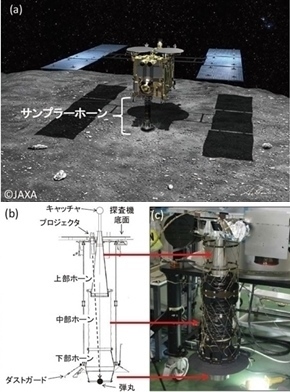 Yamamoto, S. et al., 2009, Icarus 203, 310. Wada, K. et al., 2006, Icarus 180, 528. Hermalyn, B. and Schultz, P. H., 2011, Icarus 216, 269. 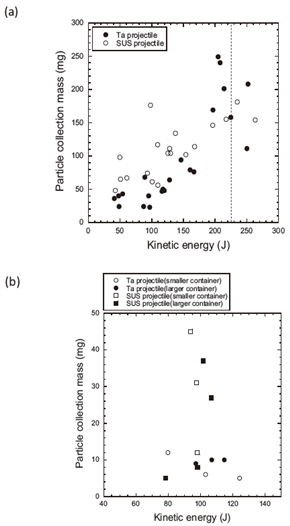 Yada, T. et al., 2014, Meteoritics & Planetary Science 49, 135. Housen, K. R. et al., 1983, Journal of Geophysical Resarch 88, 2485. Creating a better future by exploring other worlds and understanding our own.